There are few industries which operate under the extreme pressures associated with the medical device manufacturing sector. There is no room for error, and the time critical nature of the industry can often mean getting a product to market quickly is literally a matter of life and death. The entire medical device manufacturing supply chain is an operation which requires military precision, from design right though to production and subsequent distribution. Each aspect of this unique supply chain heavily relies on the element before, with even the smallest of errors holding a catastrophic effect on efficiency. Of course, the medical device manufacturing industry covers a wide array of disciplines from those manufacturers who engineer an entire product, to those who fit into the wider supply chains of OEMs. However, regardless of the context, all must operate with the same precision and detail in order to ensure full industry standard compliance, and high levels of traceability, and device quality. How can medical device manufacturers remain compliant and innovative in a rapidly evolving market? 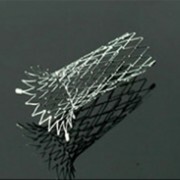 Medical device manufacturers need to deliver a functional product which complies with stringent and ever-changing industry standards, and need to embrace technologies such as Enterprise Resource Planning (ERP) solutions, which can help them to understand and remain compliant with such changes without having to continually alter their existing working processes. With so many new medical advancements being discovered, it is vital that medical device manufacturers remain highly responsive, continually streamlining time-to-market processes in order to retain market position. In no other industry is speed and time-to-market more key than for medical device manufacturers. However, this responsiveness must be underpinned by a continuous strive for innovation; with the latest innovative technologies being supported throughout detailed product development lifecycles. With so many pressures facing medical device manufacturers it is vital that back office technology applications can also rise to the challenge. In such a highly regulated industry, quality is of paramount importance, and full traceability is required at each stage of the product life cycle, from concept to post sale. With this in mind, medical device manufacturers require a suite of ERP tools which can accurately monitor the supply chain with the same level of detail required throughout the medical industry. SYSPRO provides a single, scalable solution to help medical businesses gain greater control and visibility of entire supply chains, helping to ensure strict industry compliance standards are consistently met. With a single solution, medical businesses can become more productive, implementing a number of automated paperless operations. Highly controlled and confidential intellectual property data can be seamlessly translated through a number of machines and a variety of product lines, from new product concepts, initial build trials, and subsequent mass manufacture. Medical device manufacturers need to provide a complete audit trail throughout the entire lifecycle, and it is important that they have in place a system that collects and provides the business critical information required to do this. However, it is also vital that these manufacturers businesses can also provide the same level of audit reporting on any products which do not conform to existing industry regulations. Reviewing and tracking such non-conforming parts can help manufacturers refine operational processes aiding new developments and boosting productivity in the long run. In an industry where traceability is an overarching priority, it is no surprise that ERP is providing many medical device manufacturers with the answer. Medical device manufacturers consistently need to demonstrate that their products and services conform to strict quality standards such as ISO, alongside a number of other stringent standards from relevant medical bodies which also govern the sector. In order to demonstrate this effectively, medical device manufacturers need to gain complete transparency over their supply chains. SYSPRO’s inventory management functionality gives full transparency of materials, to ensure efficient storage of stock, meaning estimates become a thing of the past. Efficient production scheduling can help medical manufacturers respond more quickly to demand and enable the sector compete in a competitive marketplace ensuring businesses remain productive and efficient at all times. By investing in ERP, medical device manufacturers can streamline product development processes, to better ensure consistent standard compliance, affording unparalleled visibility and control over manufacturing, which in this sector, can literally mean the difference between life and death. Top tech award nomination rounds off growth year for K3 Syspro What can manufacturers learn from the NFL about IoT?